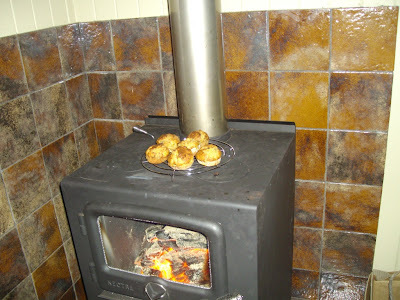 The first woodstove that we tried was a Nectre Bakers Oven. It was a lovely little oven, that heated up quickly. But it has a tiny firebox and doesn't stay warm overnight (important in a drafty old Queenslander!). We cooked many roasts, loaves of bread, cakes and roast potatoes in the oven. In fact, because the electric oven in that house was terrible, I baked and cooked more in the woodstove than the electric oven. And we used the top of the woodstove to boil and simmer pot roasts, veges, soups and sauces, and to fry steak and sausages. In winter we hardly used the electric oven and we were always warm and cosy (except early morning, when the fire burnt out). .....and muffins. All baking and cooking actually! 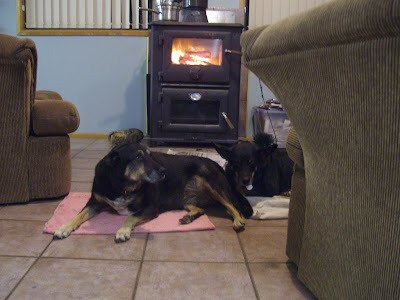 When we moved to Eight Acres, we decided to try a different woodstove. This time we wanted something that would stay warm overnight, so we chose a Scandia Cuisine. This is a much larger and heavier model, with some extra features. It has an ash tray under the firebox, so its very easy to clean. The oven and firebox are larger and the doors seal very well, so its easier to keep a large log burning overnight. The larger bulk of cast iron means that it stays warm overnight, even after the fire burns out. The large oven fits our large roasting dish, with plenty of room for roast veges as well. And the top is just as useful for boiling and frying. We have a nicer electric oven in this house, so the woodstove hasn't been used as much, but we are looking forward to endless roast potatoes again (we are usually too stingy to use the electric oven just for roast potatoes, but if the fire is on anyway, why not?). The temperature on the door is about 50degC cooler than the temperature in the oven itself, so keep an eye on your baking to learn the ideal door temperature for each dish. If the oven gets too hot, just crack the door open. When the top gets too hot you can raise pots and pans up on metal racks trivets. We have a couple of different heights so you can always adjust to the right temperature. If the fire's on anyway, you may as well pop something on top to cook. Take the opportunity to cook soups, stocks, jams, pot roasts, anything that needs to sit on the heat for a while, it saves using electricity or gas. For more information about woodstoves see installing a woodstove, preparing firewood, and lighting the fire. 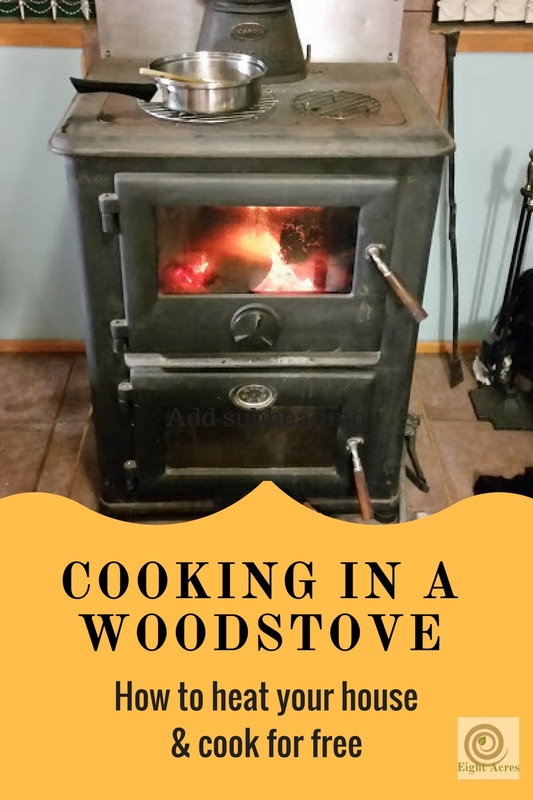 Do you cook on a woodstove? Any tips? Love the look of that baking Liz. Just letting you know that our pigs are Berkshires, which are a heritage breed, in fact Britain's oldest pig breed. They are beautiful pigs and tend to 'marble' moreso than other breeds, resulting in very flavoursome pork. It is definitely colder here by us and for a few nights now we've lit our wood burner. I lit my fire last night at youngest sons urging....he was cold..vbg. Its a Nectre wood heater. We looked at the bakers oven but decided it wasn't big enough to heat the house - which was our first priority. Sounds like we made the right decision. 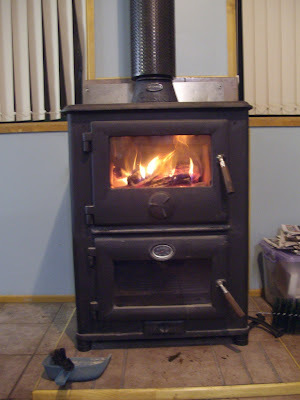 I use the wood heater to cook on though - roast vegies in the cast iron camp ovens sat on top of it are amazing..vbg. Might just have to have a look at the Scandia though - sounds like it's a winner. Love the dogs in front of the heater. Same thing happens here...lol. Are those types of stove popular there? I'd never seen one until this past winter and it was an Australian company that made it. So I've been looking around for info on them and starting to see more. I'd love to have one. I bought one of these from ChimneyHeaters.com . I installed and it works fine. Heats my 2000 square foot house. I have the pump connected to a UPS but I am not sure how long the pump will run if the electric goes out. I had it installed all winter and did not have to turn on my Electric heat once which saved me about 200 euro a month here in Romania. The Electric is not stable here so I had to rush to take out the fire a couple of times because the water pump had stopped and the pressure valves were going off. The UPS will solve that but I don't know how long a UPS will keep my central pump going. I will attach a pic of what chimney heaters are in case you are not familiar with them. The pump is a Grundfos and has three speeds. I've just noticed your posts on woodfires from your new picture categories down the side of your blog (nice addition to the layout!). I've wanted a Nectre Bakers Oven for years. But two questions I've wondered about them: Is the oven section a useful size? It seems quite small. And the stats look like it won't heat a very large area. Our living/dining/kitchen space is about 30m2. Would it heat that effectively do you think? Your comment about it not staying warm overnight is interesting and a good tip. I haven't seen the Scandia one before, perhaps that would be a better option. Really interesting post! Glad I found this. We are just about to purchase a scandia heater/oven that is at Bunnings at the moment, it's not the cuisine, but a Heat and Cook and it looks great. We currently have a warmglo older combustion wood heater in the lounge and an old IXL wood stove in the kitchen, backing up our solar hot water. I also have a gas stove for the summer. We plan to combine the two into one of these dual purpose fires. Just me being a nuisance again regarding the scandia cooker/heater. We didn't actually purchase the scandia heat n cook, money got swallowed up elsewhere(you know how it is) and we are now ready to purchase in the next week or two. I just wondered now that you have had a full winter with yours what your genuine opinion of it was. Were you totally pleased and did it meet all your mid winter expectations for heating and cooking. I would really appreciate the feedback. Hi, we purchased a Heat 'n Cook and got it shipped over to New Zealand as Bunnings don't have them here. It has worked out alot cheaper than the Nector which is the cheapest here. I have connected it up temporally to check how much shielding I will need to install and am very impressed with it. We have baked a couple of batches of potatoes and biscuits in it and it bakes well. It also heats the room which is about 50 sq mts easily. We just use pine. It looks well made and the design works fine. We have a hot water jacket for it to install as well. The jacket is an actual tank rather than just a pipe like most wood heaters. Thanks, that's good to know, we are looking at what brand to install in our new house. Hi, I would call the Heat N' Cook a budget unit. 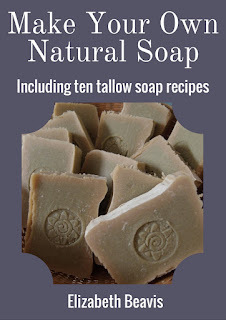 It looks good and works very well but only time will tell regarding how long it will last before cracking or warping and wearing out. It may last as long as a Bakers oven or Gourmet but I would guess not when considering the price. This is a great post Liz. It's given me a few more things to consider! Part of me would love an oven that you can cook in as well. Although I'm not sure whether it would work out in the room we have it in. Hmm, off to do some more reading! I have serious stove envy Liz. Yours is so pretty! Due to financial restraints we opted for a homemade rocket mass stove to heat our grain bin house. This means I have an ugly steel barrel in my home but since we ran all the stove pipe under our concrete floor we do get great heat absorption and release. I can easily reheat food and raise bred on top of the barrel but it doesn't get hot enough to fully cook. On the flip side it burns very little wood and running it 2-4 hours a day in the coldest Illinois winter times equates to 20 or so hours of heat in our Grain Bin House. 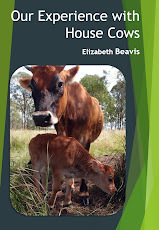 Always a trade off somewhere in homesteading isn't there? We have a wood-fired cooker in the kitchen, and a wood-fired stove in the sitting room, both cook well but their temperatures are very hit-n-miss. We don't care! My Nan cooked and baked on a wood range for her family with 9 children. It had no thermometer on it and she used to put her hand in the oven cabinet and 'just knew' when it was the temperature she wanted. The most beautiful light sponges, cakes and roasts were cooked on that range. Astounding.